With their light, airy melodies and meticulously crafted, clean arrangements, the Carpenters stood in direct contrast with the excessive, gaudy pop/rock of the '70s; yet they became one of the most popular artists of the decade, scoring 12 Top Ten hits, including three number one singles. Karen Carpenter's calm, often somber voice was the most distinctive element of their music, settling in perfectly amidst the precise, lush arrangements provided by her brother Richard. Karen Carpenter's calm, often somber voice was the most distinctive element of their music, settling in perfectly amidst the precise, lush arrangements provided by her brother Richard. The duo's sound drew more from pre-rock pop than rock & roll, but that didn't prevent the Carpenters from appealing to a variety of audiences, particularly Top 40, easy listening, and adult contemporary. While their popularity declined during the latter half of the '70s, they remained one of the most distinctive and recognizable acts the decade produced. 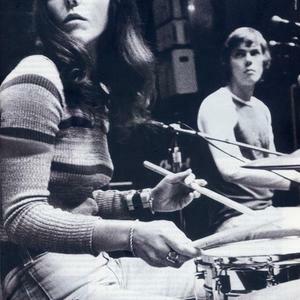 Offering, the Carpenters' first album, was released in November 1969. Neither Offering or the accompanying single, a cover of the Beatles' "Ticket to Ride," made a big impression. However, the Carpenters' fortunes changed with their second single, a version of Burt Bacharach and Hal David's "(They Long to Be) Close to You." Taken from the album Close to You, the single became the group's first number one, spending four weeks on the top of the U.S. charts. "Close to You" became an international hit, beginning a five-year period where the duo was one of the most popular recording acts in the world. During that period the Carpenters won two Grammy Awards, including Best New Artist of 1970, and had an impressive string of Top Ten hits, including "Rainy Days and Mondays," "Superstar," "Hurting Each Other," "Goodbye to Love," "Yesterday Once More," and "Top of the World." After 1975's number-four hit "Only Yesterday," the group's popularity began to decline. For the latter half of the '70s, the duo were plagued by personal problems. Richard had become addicted to prescription drugs; in 1978, he entered a recovery clinic, kicking his habit. Karen, meanwhile, became afflicted with anorexia nervosa, a disease she suffered from for the rest of her life. On top of their health problems, the group's singles had stopped reaching the Top Ten and by 1978, they weren't even reaching the Top 40. Consequently, Karen decided to pursue a solo career, recording a solo album in 1979 with Phil Ramone. The record was not completed at that time (though it would be released in 1996), and she returned to the Carpenters later that year. The reunited duo released their last album of new material, Made in America, in 1981. The album marked a commercial comeback, as "Touch Me When We're Dancing" made it to number 16 on the charts. However, Karen's health continued to decline, forcing the duo out of the spotlight. On February 4, 1983, Karen was found unconscious at her parents' home in Downey; she died in hopsital shortly after due to cardiac arrest, which was later due to the strain on her heart caused by years of crash dieting caused by anorexia nervosa.